There was a tiny bit of snow this morning and lots of canceled activities. Good thing I didn't feel like doing too much! :) Sometimes it's nice to have a Saturday not running around. I don't like running. I hope your Saturday is relaxing too! 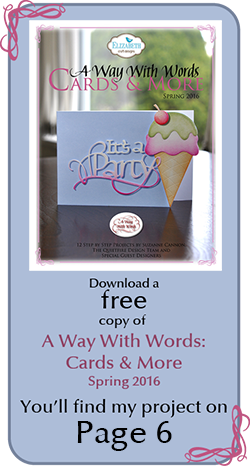 I've made a resolution (not New Year - just a good old resolution) to send more cards to friends. 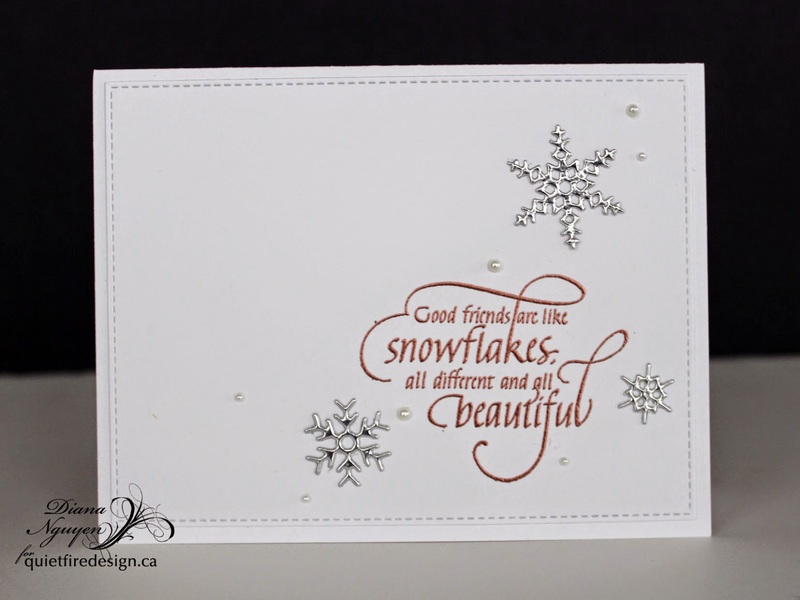 This week's cue card is Friends so I snuck down to make this quick card using Quietfire Design stamp and added some Impression Obsession Small Snowflake Set out of SB Precious Metals Craft Foil for my card. Hope you like it! If you hadn't gotten a chance, don't forget that this week Quietfire has a Queen of Hearts Blog Hop! There's still time (until midnight Sunday) to comment along the hop for a chance to win. Fantastic sentiment and I love the simple treatment of this! So glad you joined us at CASology this week! Those silver snowflakes look fantastic and I love the sweet sentiment! Thanks for playing along with CASology this week! 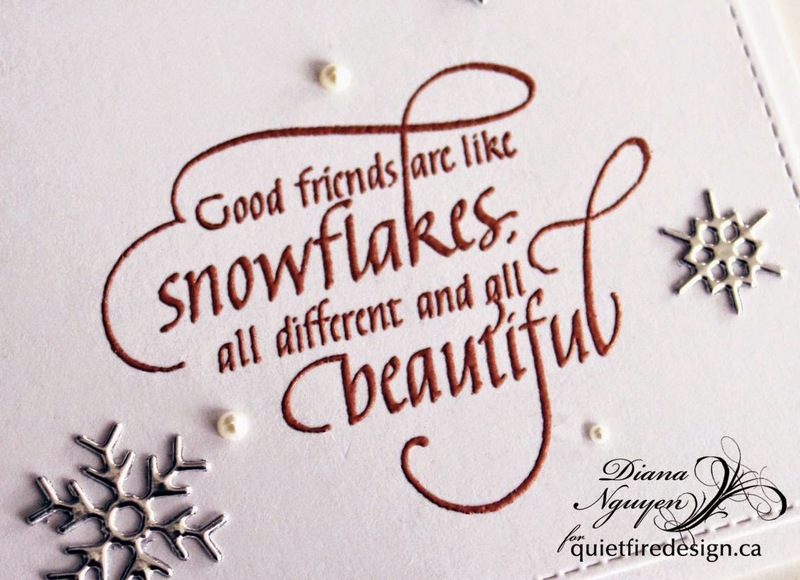 Wow, what gorgeous snowflakes and a lovely sentiment...I love the color, so rich and pretty! Thanks for joining us at CASology this week!